In a world in which we so often reach for an instant remedy, either in the form of a pill purchased over the counter in a pharmacy or prescribed by our physician, it is comforting to know that many of our nutritional and medical needs are freely available from nature. I’d like to look at a few of these now. 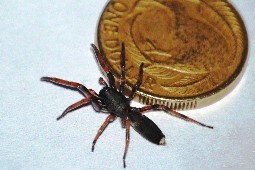 In this part of New Zealand the creature most feared by many is the white-tail spider. Originally from Australia this relatively small arachnid is here to stay. One bite from this little hunter can cause flesh to waste away. The results of a white-tail spider bite are not pretty. A few years ago, in the early morning dark in my bedroom, I bent to pick up a piece of fluff from the carpet. The fluff moved. I turned on the light and saw that it was in fact a white tail. I felt no pain so assumed I’d been lucky and not been bitten. But, a few hours later, while working in the garden, the middle finger on my right hand turned a deep purple and began to throb. It seems I had been bitten after all. I immediately picked a few plantain and comfrey leaves, bandaged them around the inflicted finger and carried on with my work. I repeated the process several times in the course of the day, noting a reduction in throbbing and in the purple colouring each time. By the end of the day the pain was gone and all that was left was a tiny red spot, presumably the location of the bite. A few years earlier I was bitten by an out-of-control dog and I received a stitches in my hand at the local clinic. I was advised by the doctor that I’d need antibiotics to prevent any secondary infections from the dog’s saliva. I bypassed the chemist and immediately began covering the wound with comfrey and plantain leaves. I also bathed in the sea. The wound healed remarkably fast and the stitches were removed just a few days later. There had been no infection and almost no scarring. My first encounter with the wonders of plantain were when I was stung by about seven yellow jackets (small wasps) while mowing the lawn in Canada. 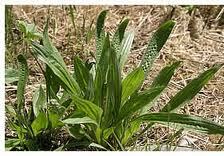 I immediately rubbed plantain leaves on each sting and carried on mowing the grass. The pain from the stings disappeared almost immediately but I must have missed one. That one sting itched and aggravated me for a couple of days, whereas I wouldn’t have even known I received the other stings. Over the years I’ve used plantain on bee and wasp stings many times. The relief is almost always virtually instantaneous. It is magic. Comfrey was known by herbalists of past centuries as knit-bone. I’ve had no reason to test this claim of its ability to heal broken bones but I do eat a few plantain (the narrow-leafed plants are less bitter) and comfrey leaves in salad from time to time. 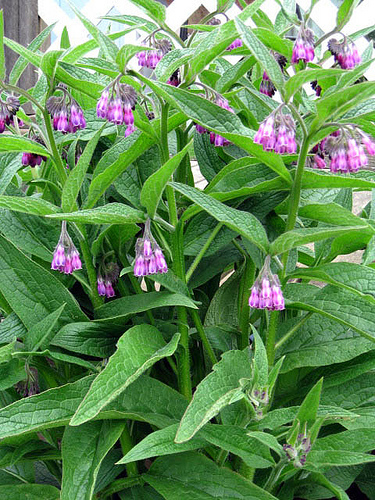 Comfrey is particularly deep rooted and contains a wealth of minerals. In fact, some claim it is one of the few plant sources of vitamin B-12. Speaking of minerals, stinging nettles are absolutely packed with minerals, most notably iron, silica and potassium. This plant is highly recommended by herbalists as a general tonic. David Hoffman, author of The Holistic Herbal, says emphatically, ‘When in doubt, use nettles.’ I’m sipping from a cup of nettle tea as I write. It’s a tasty, mineral-rich brew. 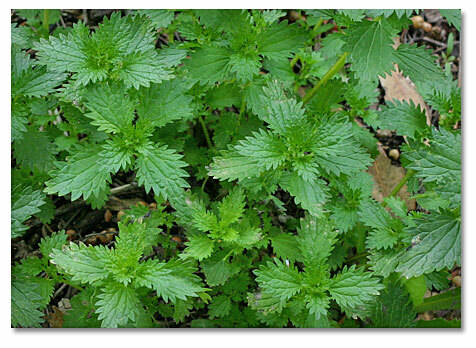 Nettles are a blood tonic and improve the body’s resistance to pollens, molds and environmental pollutants. It’s not a wonder they grow so prolifically inWestern Europe where air pollution is significant. Stinging nettles are doing their best to neutralize the air-born toxins in that part of the world. 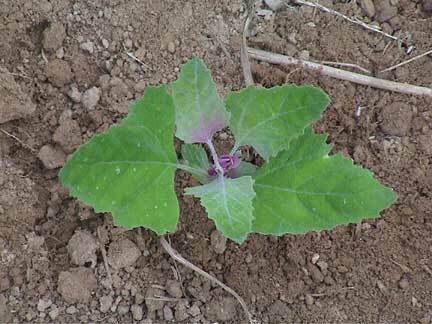 The plant is easy to grow but needs to be planted in a place where it can be contained. It will spread rampantly given the opportunity. Here’s a plant that seems to follow man wherever he goes. It too is a blood purifier. Dandelion root is useful in treating obstructions of the gallbladder, liver, spleen, pancreas and stomach. In Europe, The Cure involves drinking three cups of dandelion root tea daily for six to eight weeks twice yearly in spring and autumn. 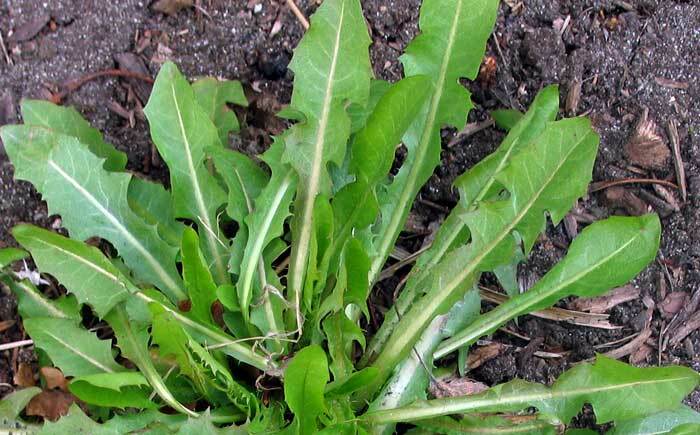 Young and tender dandelion leaves make a delicious addition to any salad, as do the dandelion’s bright yellow flowers. The plant is extremely hardy, managing to get a roothold in the cracks of concrete in the middle of the city. It is calling out for us to use it as food and medicine. 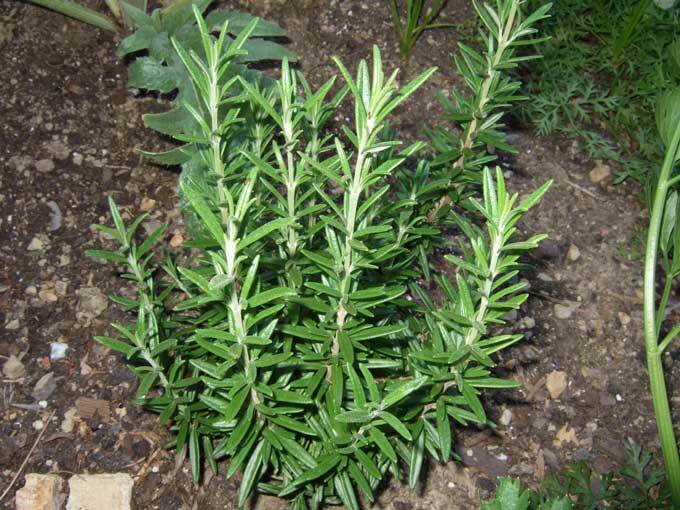 Rosemary tonifies the nervous system and improves peripheral circulation. It is an excellent tea for the elderly as it improves digestion, circulation and memory. It even uplifts the spirits and is used by herbalists for those suffering with Alzheimer’s. Hot rosemary tea promotes sweating for those suffering colds and flues. It is one of the best treatments for migraines and other headaches. It is even reputed to strengthen eyesight. Rosemary is used to enhance hair growth. It hasn’t helped me in this regard! It is one of the herbs used successfully and deliciously in recipes of the countries ringing theMediterranean Sea. Rosemary is an essential ingredient in my raw green soups and in homemade salad dressings. I love it. It grows readily in this part of the world. Did you know that green tea comes from the same plant as black tea—camelia sinensis? 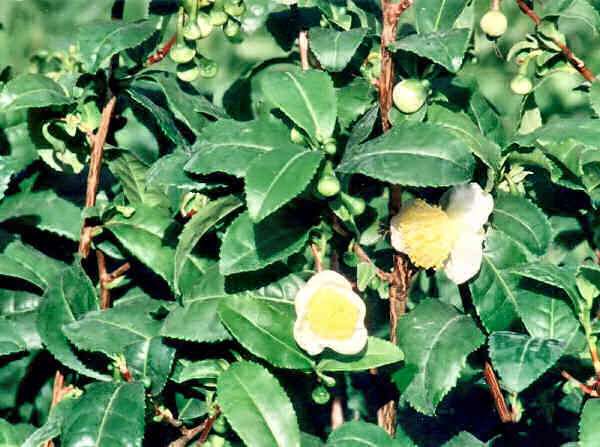 This hardy camellia with slightly fragrant small white flowers with yellow centres is easily grown where other camellias flourish. The tea is made from fresh or dried leaves, rather than the cooking process used to make black tea. It has lower caffeine levels than black tea or coffee and the vitamin C and natural tannins in green tea help to moderate the deleterious effects of its naturally-occurring caffeine. Studies inJapan show that green tea drinkers suffer fewer cancers than those who don’t drink it. Green tea also helps prevent dental decay and provides relief of allergy and asthma symptoms. You can imagine why Asian monks find it such a useful brew for their long days of meditation. Here’s a succulent anyone can grow indoors or out, depending on your climate. We have a large healthy plant in a pot just outside the kitchen in the semi shade of an Australian Frangipani. It blooms right through winter. 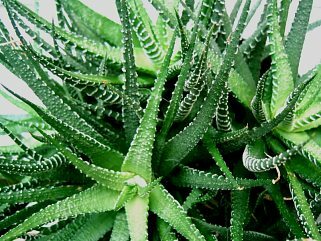 Taken internally aloe aids digestion, is mildly laxative and helps with arthritis and ulcers. I put a half inch (12 mm) piece in my smoothies most mornings. And nothing touches the effectiveness of aloe vera for sun burn or more extreme burns. A friend of ours recently severely burned one arm with scalding water. She expected lasting scars. Several times a day she applied clean dressings with fresh aloe vera jelly (we lent her large fronds.) The healing was remarkable and there is no scarring today. Ginger has a long history of use for indigestion and flatulence, aiding in the digestion of starches and fatty foods. It is warming and aids circulation, is good for the brain and makes a delicious brew. We add fresh ginger root to the juices we make from apples, carrots, beetroot and greens. Ginger is said to be more effective than Dramamine for motion sickness without causing drowsiness. 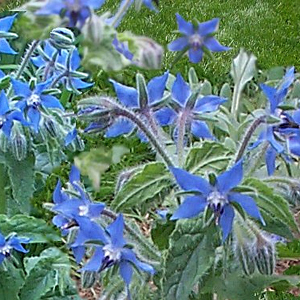 It is known to strengthen the tissue of the heart muscle. Dried ginger is hotter than the fresh root and is more effective in relieving nausea and in warming the body. Fresh ginger root is best for respiratory problems. Garlic, an allium like onions, leeks and shallots, is known to specifically target harmful bacteria in the gut. Garlic controls fat deposits in arteries and therefore is used to treat high blood pressure and angina. You might smell of the stuff after you eat it, but you know it is keeping you healthy at the same time. There’s nothing new in anything I’ve presented here. As often as possible eat local, eat raw and eat organic. Nature provides her local inhabitants with exactly what they need, when they need it. Hence, the ripening of different fruits at different times. In modern times this perfect, natural order has been superseded by the supermarket, with fruit and vegetables from all over the world available at any time, food often grown in slave-like conditions for workers and brought to us at a huge cost to the environment in giant fuel-burning ships. By turning to botanicals for medicine and sustenance we are encouraging a greener world. What would you rather have in your neighbourhood—a chemical factory or fields of rosemary and lavender? Culpepper and other herbalists from centuries past spoke of the Doctrine of Signatures in which the shape of a plant or a cross-section of it indicates the part of the body they will assist. Cut across bulb fennel and you’ll easily see why fennel is recognized as being good for the eyes. Likewise, cut a carrot and you can see why carrots for centuries have been reputed to assist eyesight, particularly night vision. Who can resist a salad garnished with the rainbow hues of lavender, comfrey, borage, nasturtium, calendula, violet and alfalfa flowers? The flowers aren’t just a garnish. There are phyto-nutrients galore in the fresh pollen of edible flowers; nutrients to nourish the mind and spirit, as well as the physical body. By imbibing herbal teas, eating weeds and their flowers and making use of locally produced herbs and tinctures we are directly connecting with nature and absorbing ideally available solar energy via the plant kingdom. I wish you the best of health. It is freely available to you.